Little Miss Giggles loves to laugh and joke, cheering all the other Little Misses up. But when she loses her giggling power, who will be able to help out? Another comic favourite from the much-loved series by Roger Hargreaves – a treat to share with anyone who likes a good giggle! 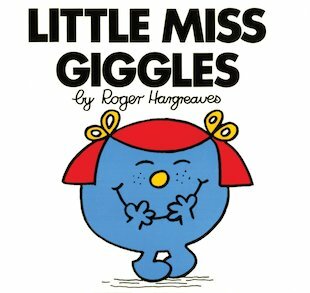 I would say I’m miss giggles – i love this book! i like the personality of the mr men and little misses! miss giggles has a funny personality! i used to love the mr men and little miss men!!! I WONDER WAHT THIS IS LIKE?